Giveaway: Win A Copy Of 'Avengers: Infinity War' On Digital! The biggest hit of the year, Marvel's epic Avengers: Infinity War is available now on digital and will hit Bluray on August 14th, but we're offering our readers the chance to win a copy for themselves right now. 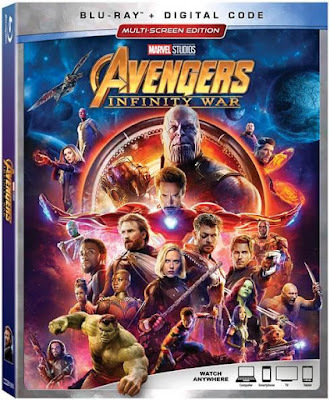 We're happy to giveaway five digital codes of Avengers: Infinity War, complete with all the features, bloopers, deleted scenes, and more! You know how we do it. Entering is simple; complete all of the required steps in our Rafflecopter contest form below. If you want to increase your chances of winning, complete ALL of the steps. It's that easy. Winners will be selected on Friday, August 10th an notified by email.